Dunfermline Rotary Club’s latest international project in Kenya. 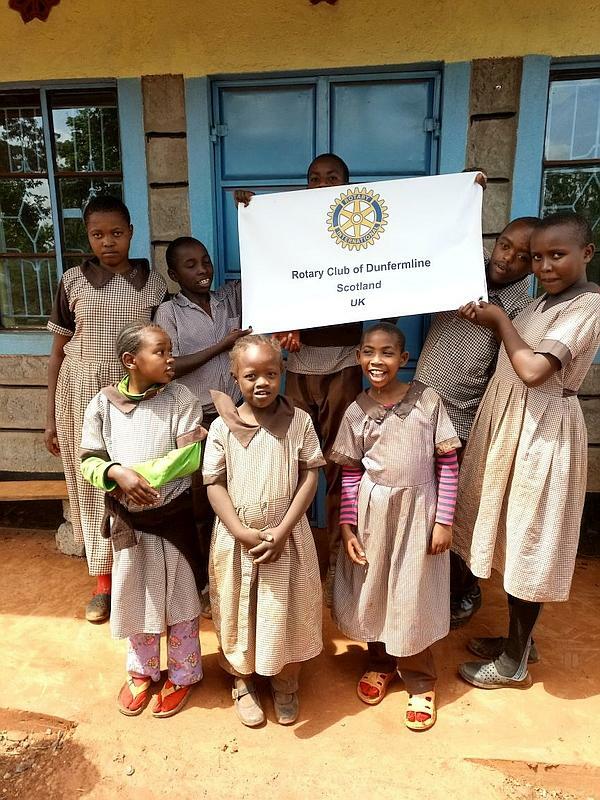 “INFECTIOUS enthusiasm” is how Morag McLullich describes her involvement with Dunfermline Rotary Club’s latest international project in Kenya. The retired Fife headteacher visited the club to accept, on behalf of the charity Vision Africa, a £2,100 cheque to fund specialist therapy equipment for children with special needs. Morag explained how children with disabilities, special needs and learning difficulties were being brought into the educational system instead of being stigmatised, branded a curse and hidden from public view. 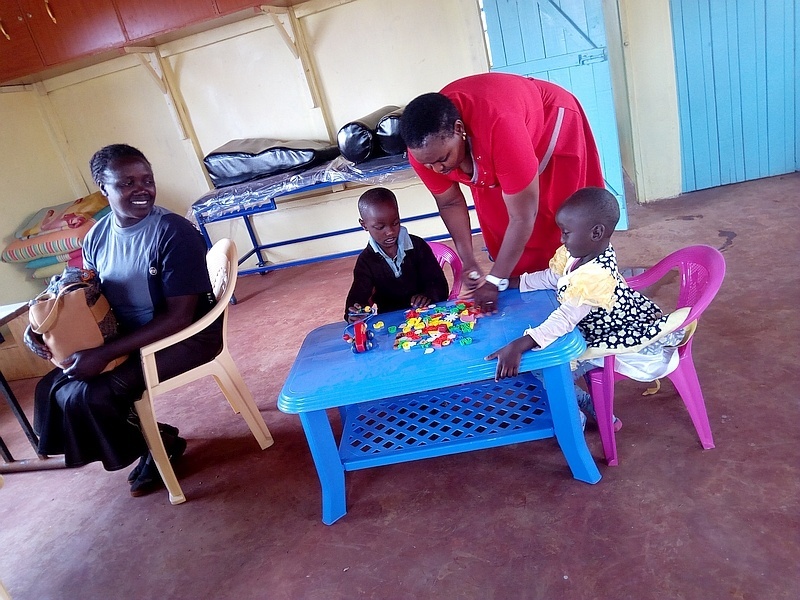 A special therapy unit has been built by Vision Africa at the Kirunguru School in the Murang’a County of Kenya and it was for this unit that Rotary funded the specialist equipment, including mobile therapy kits, required to assess the children to prepare for schooling. Also involved were members of the Rotary Club of Langata and their Rotoract Club who helped dig out the foundations and access for the therapy unit. Morag acquired her “infectious enthusiasm” during visits to Kenya over a number of years to help Vision Africa develop the integration of children with special needs into mainstream education. She illustrated her talk with moving examples of how this early intervention in the lives of children with special needs had made a huge difference to the quality of their lives. 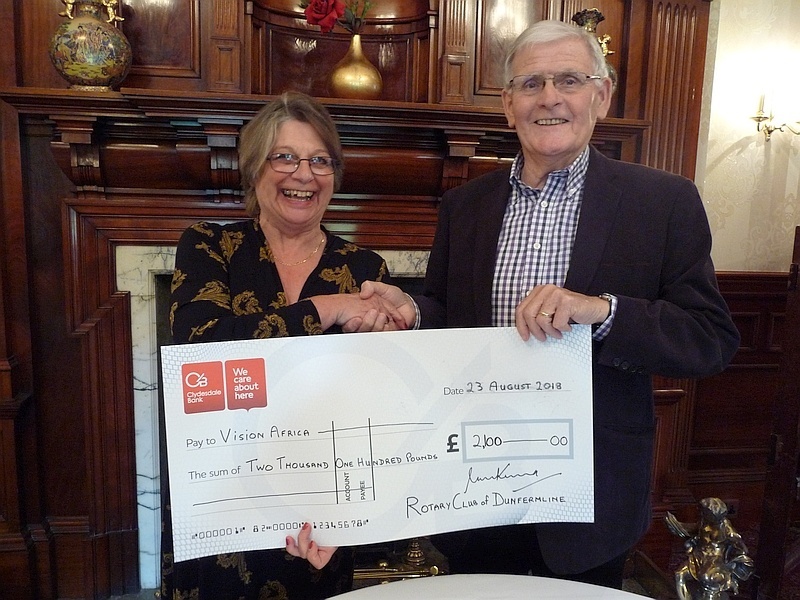 Vice -President Noel McKenna handed over the cheque, which comprises £1,100 from the Dunfermline club’s charity account and £1,000 from Rotary Foundation, the main charity fund of Rotary International. Mr McKenna recalled, “Our club’s very first project with Vision Africa - to provide a water pump for a school in Kenya - was some nine years ago when, co-incidentally, I was president of the club. And it was a further co-incidence that it was Morag’s daughter, Kirsty, who managed that project."